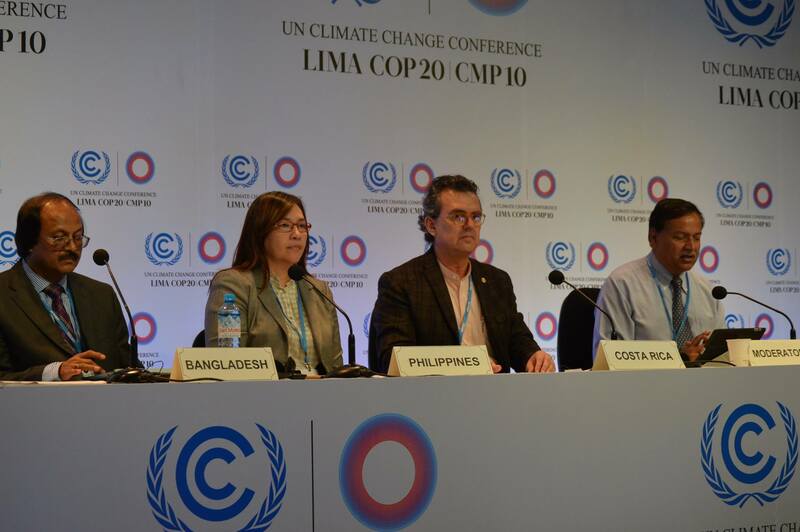 LIMA, 08 December 2014 – Costa Rica announced today that Philippines is to assume the presidency of the Climate Vulnerable Forum (CVF) from January 2015, leading a global South-South cooperation platform involving 20 countries highly vulnerable to a warmer planet. Costa Rica presided the Forum’s work as a conduit for collective policy action, common communications and knowledge-based activities since mid-2013 following the earlier tenure of Bangladesh as Chair. More on the announcement at the press page.